Welcome to Ponorogo regencyvweb site, the purpose of this web site is to make the audience and the publics know and obtain the complete information about various dimensions, dynamics and development potency, which have being and will be developed in Ponorogo regency. By find our Web site, we hope to all people and the corporate world will feel inspired, and interested to participate in build PONOROGO city to promote, invest capital and technology that had owned. We also want to inform all people in the world that Ponorogo, East Java has a unique traditional dance called REOG PONOROGO. 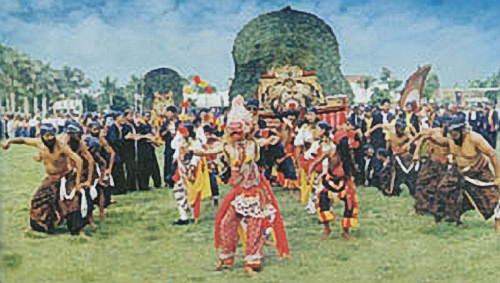 The visitors can found this original dance just in Ponorogo, East Java - Indonesia. REOG is trully come from Indonesia that never gone, because this traditional dance has its own history and the dancer must special person who able to presents it. Using a Motto of PONOROGO BUMI REOG – Bumi yang Resik, Endah, Omber, Girang Gumirang welcome to our earth of Ponorogo regency.